Reginald Arthur Burrows was a former Member of Parliament and Senator in Bermuda. Reginal Burrows was in Bermuda on 4 March 1934 to Reginald and Esme Burrows. He graduated from the respected black college Wilberforce University in Ohio with degrees in engineering and mathematics. Burrows worked as a plumber in his younger years. 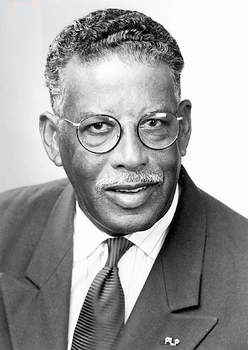 With the creation of the Progressive Labour Part (PLP) in the 1960s, followed by the United Bermuda Party UBP), Burrows was courted by both parties, but became a PLP stalwart. Burrow served as a Member of Parliament for Southampton East from 1968 to 2003 for the PLP; and then as a Senator until 2005. His private members Bill, brought to the House of Assembly in 1996 to allow the development of the derelict Bermudiana Hotel site for international business, was passed in 1997 in less than one minute, with no debate. Burrows served on the Defence Board and, after the PLP’s first electoral victory in 1998, was appointed to head the Immigration Board, as well as its advisory council. When he retired from the Senate in 2005, Burrows said that he never expected to be in politics for 37 years and voiced regret at never having served in Cabinet. Burrows was married to wife Sheila A. Burrows and was the father of four children - Christopher J. Burrows, Cynthia L. Burrows, Tracey J. Burch-Moore, Trina Burch Bean (Gerald). Burrows was a major contributor to the founding of Southampton Rangers Sports Club from 1959 and became the club’s first president. Wilberforce University inducted him into its Hall of Fame in 2009. Burrows died on 3 November 2017, aged 83. His funeral was held at St Paul AME Church, Hamilton on 9 November 2017, followed by interment at St Anne's Cemetery.